I wanted a very good choline source and a friend recommended Alpha-GPC by Douglas Laboratories. I have a leaky gut so choline is essential for repairing the gut. I have been using Douglas Labs Alpha-GPC now for six months. Keeping our mental health up to speed can be tricky sometimes. Both basic and complex brain functions rely on various chemicals that exist in the body and our diets. 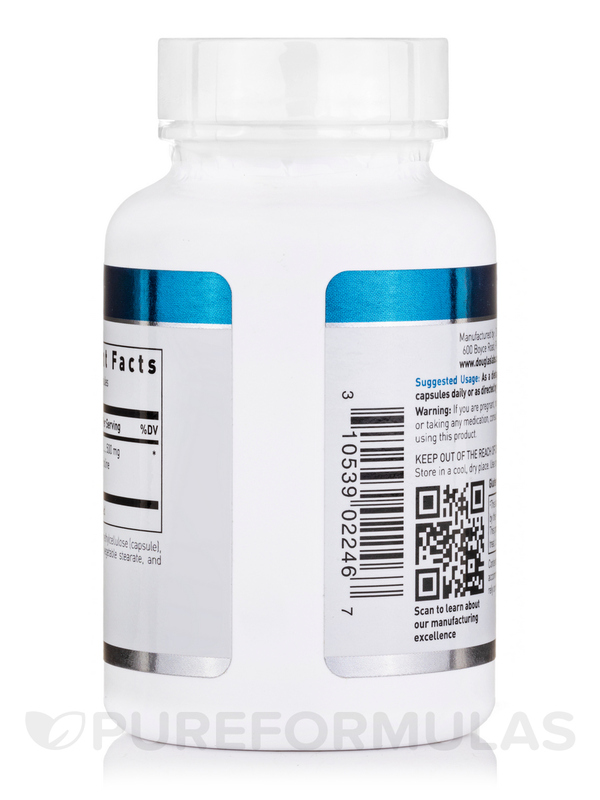 A premium choline supplement may help in improving overall aspects of memory and baseline mental functioning. Looking to take another step that can possibly help these functions? 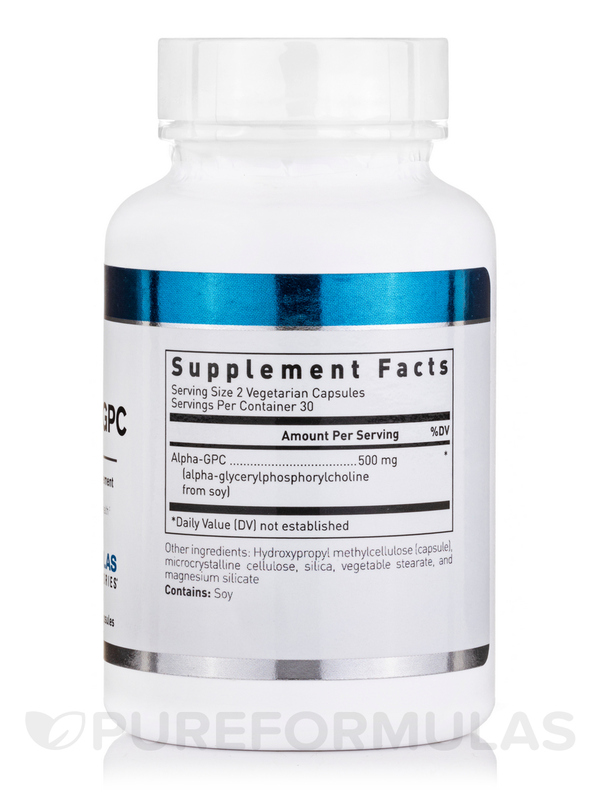 Alpha-GPC is a choline found naturally in the brain that acts as a precursor to Acetylcholine. Acetylcholine is just one of the many important neurotransmitters responsible for the message signals fired off between our neurons. These neurotransmitters naturally support memory and the learning process. 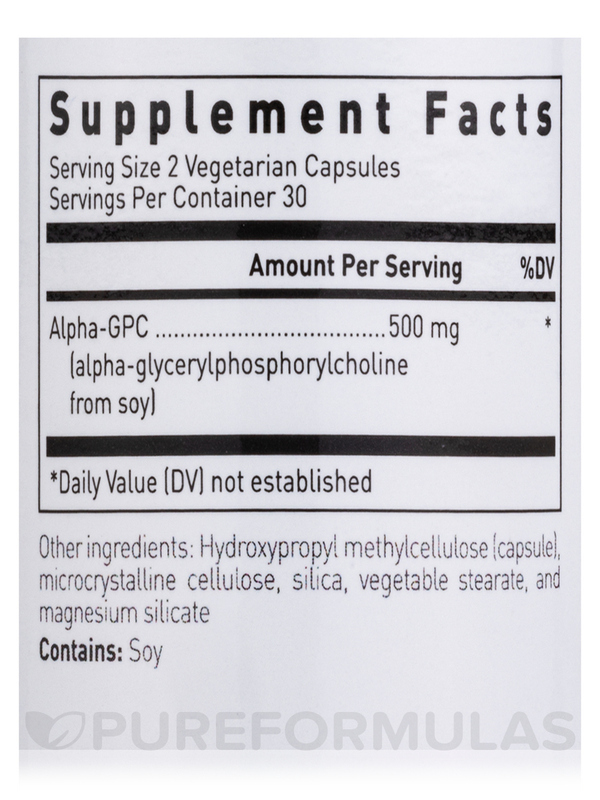 Douglas Labs’ Alpha-GPC 60 Vegetarian Capsules are designed with a 500 mg serving of this important choline in each capsule. 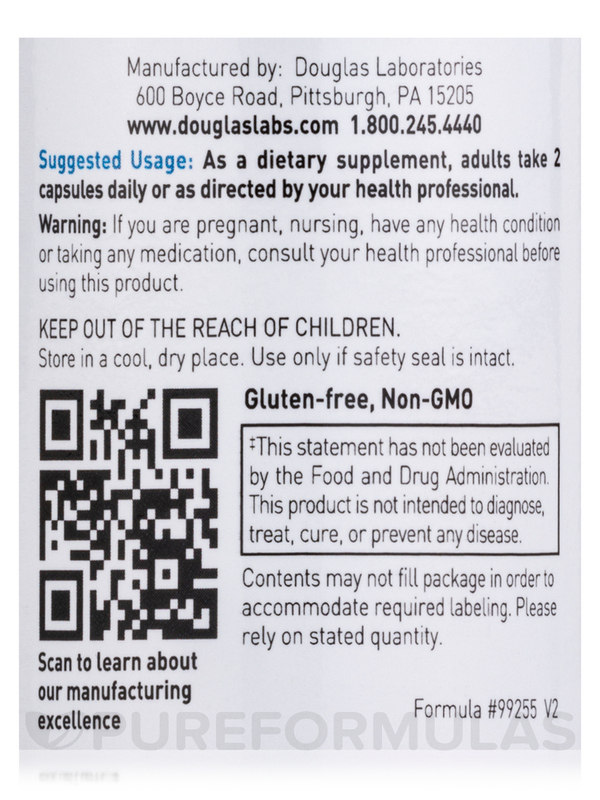 Douglas Laboratories also formulated these capsules to be all-natural and completely vegetarian with no gluten‚ soy‚ or artificial preservatives. Help your brain. It works hard and so do you. 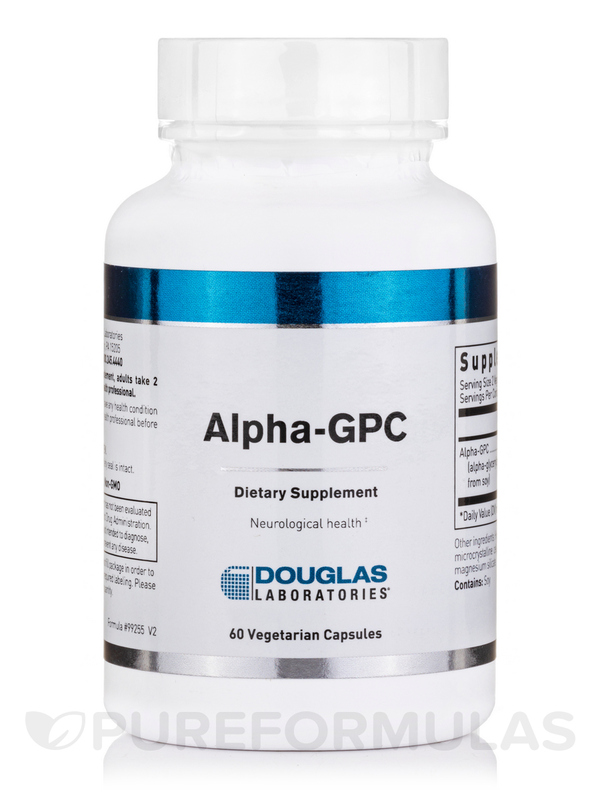 Order Douglas Labs’ Alpha-GPC 60 Vegetarian Capsules today! Other Ingredients: Cellulose‚ silica‚ vegetable stearate and magnesium silicate. This product contains no yeast‚ gluten‚ milk/dairy‚ corn‚ sodium‚ sugar‚ starch‚ artificial coloring‚ artificial preservatives‚ artificial flavoring‚ or genetically modified ingredients (GMOs). 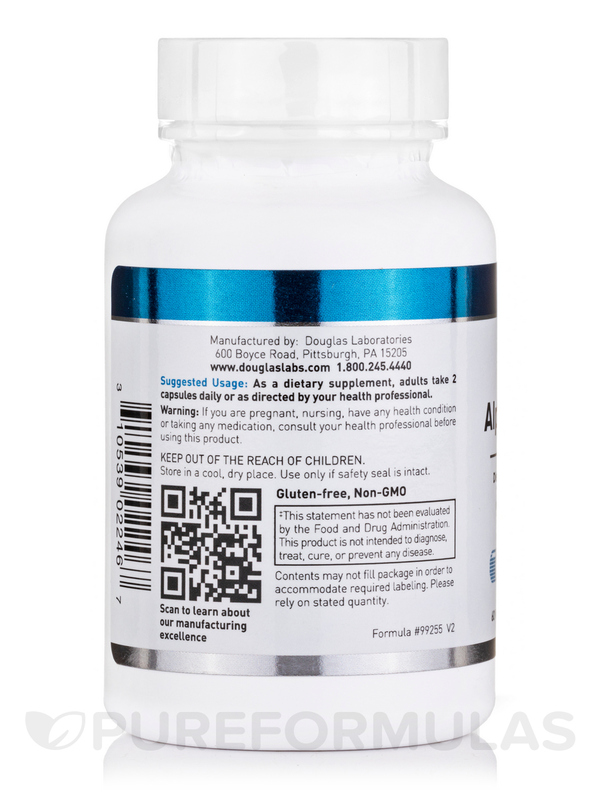 As a dietary supplement‚ adults take 2 capsules daily or as directed by your healthcare professional. A bit pricey but worth it.